← So…What’s the Big Deal? And to Who? Every Canada Day I promise myself I’ll write some suitably appropriate post — and then I end up scrambling at the last minute to come up with something (and, yes, I realize this blog wasn’t around last July 1st, but I’m counting the essays I posted at The Great Canadian Guide to the Movies & TV). Anyway, given that there’s often a lot of grumbling from me on this site about Canadian identity and Canadian culture — and the way it often isn’t well represented even in Canadian movies and TV shows — I thought maybe I could do the opposite. Highlight various Canadian movies and TV shows — good, entertaining ones — that are archly Canadian and might be fun to pop into the DVD player on Canada Day. From the truly compelling, exciting political drama John A: Birth of a Country to the pop corn thrills of Bon Cop, Bad Cop. But I think I’ll leave that post for another day, because, as I say, I’ve left it too late and couldn’t really do a good job on it. So then I thought: why not throw out some ideas for all you out there in cyberspace? I don’t know who or how many people actually involved in Canadian film & TV read my blog, or are even aware it exists — not perhaps many, but certainly some (though in some circles I get the impression this is the Blog That Dare Not Speak Its Name). Still, this is for you guys. You see, I was thinking about the notion of international co-productions, from The Borgias, to The Tudors, to Titanic (actually, there are two Titanic miniseries made with Canadian involvement). And I was thinking about whether there were Canadian stories that would make great stories — whether for a movie, a mini-series, or even a weekly series — that could entice foreign partners to ante up the way those above series enticed Canadian producers. After all, co-productions are one of the ways to get big, grandiose productions off the ground that no one country could afford to mount on its own. Often such programs as those I mention above have little to do with Canada — the setting, characters and events far removed from the Great White North. Or, as I was mentioning in my last couple of posts, often Canadians seek international partners by offering up Canadian programs that are as anonymously Canadian as they can make them — as I pointed out, the recent CTV/NBC TV series co-production, Saving Hope, claims it’s set in Toronto in the (Canadian) press releases…but much of the dialogue and scenarios go out of their way to not suggest a Canadian setting. But sometimes the way to solicit foreign investors to come on board for a co-production is not to offer a Canadian premise that works over time to pretend it’s not Canadian…but is to find distinctly, archetypal Canadian stories that have international connections. Instead of Canada always helping them to make their stories, are there Canadian stories that they would want to get in on? There are events in Canada’s past that have involved multiple countries, so can form the basis for stories that can appeal to producers in many nations. There was Frontier — it’s been years since I saw it, and I’m sure it’s dated a bit, but I recall it as being a truly delightful romp, an old fashioned swashbuckling adventure of all things, set in the early days of Canada and New France, involving French, English, and Canadian characters, and so attractive to a multitude of international partners. The sweeping epic Above and Beyond chronicled the attempt to fly planes to Europe from Canada during WW II — again, a story that had relevance to more than one nation. With the mini-series The Iron Road, instead of treating the use of Chinese labour on the building of the Canadian railroad as a historical footnote, it was treated as the central concept, making for a production that was as valid to its Chinese producers as it was the Canadian producers. (And most of these I review at The Great Canadian Guide to the Movies & TV). So what other events in Canadian history might make great drama even for those who never set foot in Canada? Stories that are part of the Canadian narrative…but have relevance for other nations? Well, a few posts back I mentioned the War of 1812 — specifically, the Canadian front. A conflict that involved Canadian, British and American interests. Granted, each side tends to view the war, its causes, and its out come, rather differently…but maybe that would be what could make it great drama, as opposed to just black and white heroes and villains. I just recently came upon a reference to an up-coming Canada/Europe co-production about Vikings. And I was excited…until I read on. I was a bit disappointed when I realized that’s all it was: a story about European Viking in Europe. Because I’ve long though there’s a great — and uniquely Canadian — story in a saga about Vikings and…Indians! Oh, not necessarily as some earnest docudrama, but as a kind of swashbuckling, sword & sorcery adventure involving Wendigos and maybe Loki! You see, there’s little disputing that Vikings “discovered” North America centuries before Columbus — there are Viking records of settling in a mysterious place across the ocean called Vinland! And though some Americans like to claim Vinland was what is now America…there is little evidence for this (I believe some point to some odd etchings found somewhere in New England…but scholars can’t agree on their origins). However there’s no disputing the Viking settlement unearthed in Newfoundland! So it’s a story that has a European connection, a Canadian connection, and even an American connection (if only because it took place in North America). I mean, what’s not to like? Vikings! Indians! Initially they fight, then they must unite against an ancient evil or something. Throw in a cross cultural romance and, bam, Bob’s your uncle! Or what about the building of the Rideau Canal? Imagine the sweeping saga and the fortunes won and lost, the tragedy and triumph, of what was consider a staggering engineering feet for its time. Throw in a mix of real (John By) and fictional characters, bitter rivalries and star crossed romances, and again, with a multinational aspect (many of the workers were migrants from the U.K. and elsewhere) and give it some dramatic title like Pillars of the Earth (another European story co-made by Canadians) such as, I dunno, The River of the Gods! Or what about…Camp X? Yes, the mysterious real life spy training school set up in Ontario during the early days of WW II. Again, it has a multinational aspect — based in Canada, but training U.K. and other allied spies (I think even James Bond creator Ian Fleming had some connection to it). Perhaps it could be the setting for a murky murder mystery. A dogged Canadian police detective is called in to investigate a murder at the camp, and must ferret out the killer while dealing with the stone walling of his top secret suspects — Agatha Christie meets John LeCarre territory. Speaking of WW II, I was always intrigued by the fact that Canada provided safe haven to the Dutch royal family during the Nazi occupation of The Netherlands — even temporarily decreeing a hospital ward as Dutch soil so the future heir could be born on Dutch territory. I’ve always thought that could make a neat hook for an otherwise wholly fictional espionage tale of, say, Nazi assassins trying to kill the royal family and plucky heroes having to stop them. And, of course, there are plenty of others. Heck, just because there was Frontier decades ago doesn’t mean there aren’t more stories to be told that call upon the era when Canada, France and England’s histories overlapped. And any global war tended to involve multiple parties. Heck, there was a Hollywood movie about the Canada-U.S. commando group, nicknamed The Devil’s Brigade…but I’m not sure it’s been exploited much in any subsequent movies. So there you go — just a few ideas for potential co-productions that could be distinctly Canadian (in a way the Borgias, or The Tudors, aren’t) yet equally relevant to other nations, and are stories they might enjoy helping to tell. 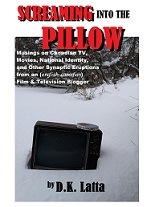 Any Canadian film & TV insiders out there feeling their creative juices being stirred? This entry was posted in Canadian film and TV and tagged Saving Hope, The Borgias, Titanic, Tudors. Bookmark the permalink.